We are reliable supplier of this chemicals and Pharmaceutical products . We do discreet packing and ship to clients location with out any problems. We have branches in USA, Europe, UAE and Ocenia Countries. Any one interested do not hesitate to contact us with out delay . • Smooth-writing, very dense ink and constant ink flow from start to end. 1.0mm tough ball producing 0.5mm line-width. • Archival quality ink - waterproof, chemical proof and fade resistant (except ""Clear Star"" and ""Sparkle"" series). 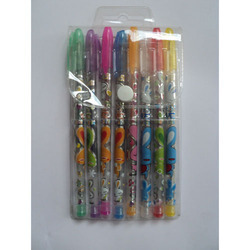 We are a top notch supplier of Xtra Sparkle Glitter Gel Pen. 10 sparkling bright colors • Quick drying. • Fade proof. • Smudge resistant. This is sparkle pen along with 8 color refill. It is widely used by Students. - Easy to write and draw, dry fast and not easy to fade, high capacity ink anti-volatie. - Material PP pen, wear-resistant, economical and practical.